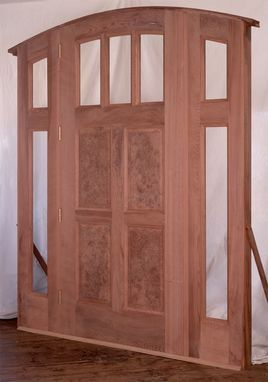 Custom designed redwood burl door. Our client sent us his redwood burl slab that had been cut 40 year ago by his grandfather. 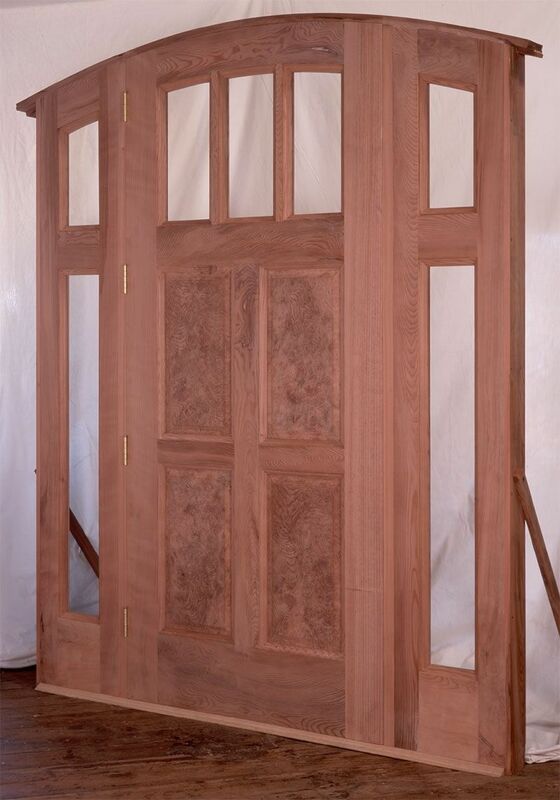 We milled it into panel stock on our sawmill, then designed and built the door to incorporate the panels. The client wanted this custom door to be the main focal point for the entrance to his new home. Contact artisan for further details. Dimensions: Door dimensions: 36 inches wide x 6 ft 8in tall. Overall with sidelites: 6ft X 8ft.